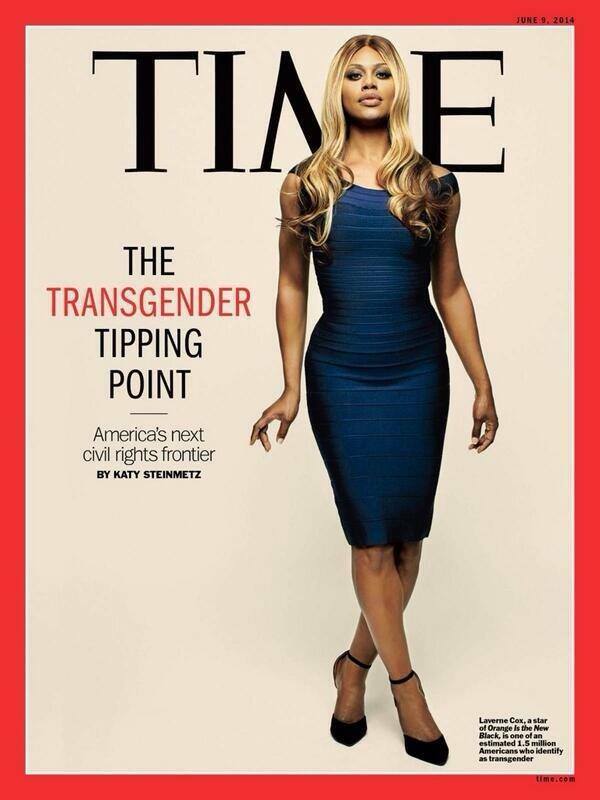 The star of Netflix’s Orange Is the New Black, Laverne Cox, has become the first transgender person to appear on the cover of TIME magazine. Laverne Cox has gone from being bullied for acting feminine as a kid in Mobile, Ala., to starring in Orange Is the New Black and becoming a public face for the transgender movement. In the beaux-arts lobby of the Nourse Theater in San Francisco, men in deep V-necks and necklaces walk by women with crew cuts and plaid shirts buttoned to the top. Boys carrying pink backpacks kiss on the lips, while long-haired ladies whose sequined tank tops expose broad shoulders snap selfies. About 1,100 people, many gleefully defying gender stereotypes, eventually pack the auditorium to hear the story of an unlikely icon. “I stand before you this evening,” Laverne Cox, who stars in the Netflix drama Orange Is the New Black, tells the crowd, “a proud, African-American transgender woman.” The cheers are loud and long. The Magazine issue also includes a list of “21 Transgender People Who Influenced American Culture”. The list includes: athlete Kye Allums, actress Candis Cayne, model Carmen Carrera, computer scientist and engineer Lynn Conway, mixed martial arts fighter Fallon Fox, model Isis King, author Janet Mock and more. Check out the behind-the-scenes footage from her cover shoot.